There are several haunted places in the city of St. Augustine on the Atlantic Coast in Florida. 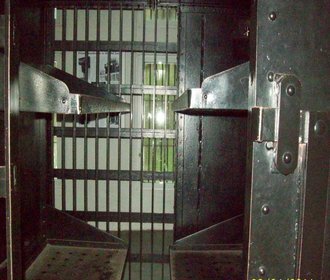 The Old Jail is one of the most exciting places if you are a ghost hunter at heart. This structure was constructed by the ever-popular Henry Flagler, and opened in the year of 1891. It was carefully built to resemble that of one of the fine hotels that are located along the Atlantic Coast in Florida. For approximately sixty years, prisoners – both male and female – were held here. Today, the Old Jail is open to the public. Transformed into a museum, guests to this structure can observe where prisoners were kept, the spooky “gallows” where many prisoners were put to death, and more! 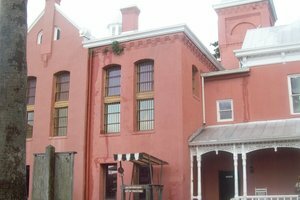 If you want to visit one of the most haunted places in St. Augustine, the Old Jail is a wonderful choice among many! One of the first things that visitors should know when they visit the old jail is that several prisoners lost their lives at this location. The most common culprit behind the death of the prisoners was the ever-popular “noose” in which several were hung. Charles Joseph Perry served as the Sheriff from the time the jail was opened in 1891 until the year 1919. This individual took his job very seriously. He was a firm believer in the fact that if people were sent to his prison, they would serve their time in a punitive manner. There were not too many inmates that dared to differ with his way of thinking either. He was a startling large man, measuring in at six and a half feet, and weighed approximately three hundred pounds! In order to make extra certain that no one escaped a large amount of dogs was kept behind the Old Jail. The conditions at the structure were relatively harsh. One of the first issues was that the only water source in the jail was for drinking. This meant that individuals housed here were not allowed baths. Weather conditions on the external area of the structure were often much the same on the inside. If it was hot, it was even hotter indoors. The same occurred in the winter months, in which it was exceptionally hot. Most beds were composed of the Spanish moss that grows rather rapidly in the Florida area. This moss was used to fill mattresses, but red bugs and other pests that are native to the moss often infested the beds. To receive a blanket was practically unheard of in the days of the prison, and to receive a pillow for the beds was completely unheard of. Sickness and death were extremely common in the Old Jail, especially the disease of dysentery. 1. There is a sweet smell that seems to consistently hang in the air of this haunted prison. It reflects that of molasses. Regardless of the cleaning efforts, this is a smell that seems to be related to the hauntings that occur in this structure. 2. Many individuals that reside in the neighborhood of the jail, visit the museum, and even work in the structure have heard the barking of dogs on a regular basis. It is believed that these are the spiritual hounds of Sheriff Perry. 3. Certain tunes have been heard in the Old Jail – almost as if someone is slightly humming them. One of these songs distinctly reflects that of “Swing Low Sweet Chariot”. 4. In many areas of the Old Jail, you can hear footsteps with a sound of distinct chains moving in motion with the steps. It is believed that these are the souls of the spirits that are still held captive, even after death. 5. Many individuals have heard the sounds of shouts and wails only to discover that there was no physical person present to have made the sounds. If you want to visit haunted places in St. Augustine, make sure to take a stop in at the Old Jail! Experience for yourself what it takes to be a paranormal investigator at one of the most active sites ever documented, The Old Jail of St Augustine. Join the professional group, The Paranormal Seekers, and spend 2 hours locked-in at the site that few have ever dared to!